When was the last time you were at Radio Shack, Best Buy or the electronics department at Wal-Mart? We take computers, laptops and cell phones for granted and something new and revolutionary is introduced almost weekly. Items a year old can be obsolete and grammar school children are more savvy and computer literate than I could ever hope to be. How fast the time flies by. When I was in grammar school, the Friday night double feature, cartoon and news reel was considered our “high tech” mode of entertainment, down at the Reedley Theater. It wasn’t until I was almost in junior high school that television came to the Valley, and then there were only three channels—all black and white. All three displayed their test pattern more than actual televised programs. But let’s step back further in time; back to the technology of the 1800s: steam trains, steam boats, the telegraph, telephone and electric lights. In the 1860s we fought the Civil War and built the Transcontinental Railroad, and there was one invention that came to the forefront by recording historic events and being able to let the average man record everyday life and memories of family and vacations. This invention was the camera and the Civil War was the first big event to be photographed. The darkroom and the photo studio was the “computer store” at the turn of the century. Eastman Kodak Company made the camera affordable to the average man. You could take a roll of film with your camera and have the photo studio develop the photos for you, or the more adventurous could set up their own darkroom and do the developing themselves. Photography became an art form and a means of financial support for many photographers like “Pop” Laval and Ansel Adams. Reedley even had its own famous photographer. George Besaw was born to French Canadian parents who settled in Wisconsin. George was one of eight children. Like many who were fascinated by early photography, he was self-taught and realized that history could be recorded through the eye of the camera. He soon started his own photography business and perfected a process of producing photographic picture postcards that was far superior to any other competitive process at the time. In 1904, Besaw’s parents decided to relocate to California and newlyweds George and his wife Maryanne went as well. George left his photography business in charge of his brother. The Besaws rented two railroad box cars for the trip; one to hold the furniture and household goods and one to live in. On the trip west, George took photos of everything he could along the way–towns, bridges, depots, churches, and schools. 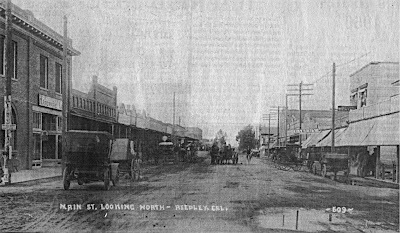 When the families settled in Reedley, his first photograph was of his father in a buggy on Reed Avenue near the Reed ranch. Besaw soon set up a photography studio in Reedley and began developing the films taken on the trip west. He mailed these photos back to the towns where they were taken and his reputation spread across the country. He had over 4000 negatives on file. Photos were sold under the name of Besaw Studio or Western Postcard Company. Business was so demanding that Besaw closed his studio in Wisconsin and took on a partner, Edwin Anderson. Anderson helped with the postcard business. At the time, Besaw’s postcards were considered the best postcards in the United States. In 1911, Edward H. Mitchell of San Francisco bought the Western Postcard Company from Besaw and moved it to the bay area. George became manager of the newly-founded Mitchell Postcard Company, and was also the main photographer. The names of Besaw Studio and Western Postcard Company were never again used after 1911. 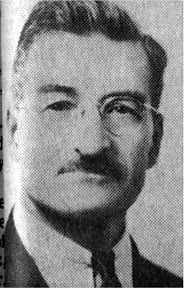 George Besaw lived in many places in California, but he never completely severed ties with Reedley. 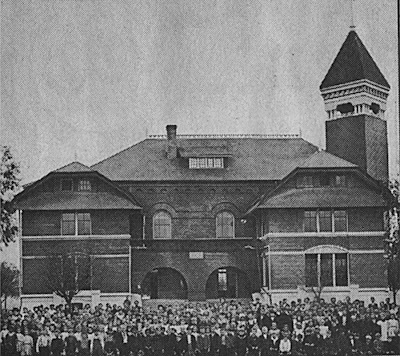 For a more detailed history on the life of Besaw in Reedley, see the article in the Centennial Edition of the Reedley Exponent, October 1988 by Minnie Bulls, or attend the next Reedley Historical Society dinner program featuring noted postcard collector Michael J. Semas, CPA. Semas is an avid collector of Besaw postcards. He will share his knowledge and postcard collection with the Reedley Historical Society and guests on Thursday, May 6. For more information, please leave a message at the Reedley Museum, 559-638-1913 or call between 9:30 and 12:00 on Tuesday. Watch KRL for more details coming soon in our event pages!